Mobile Bay Monthly, Bay Gallery. February 1989. 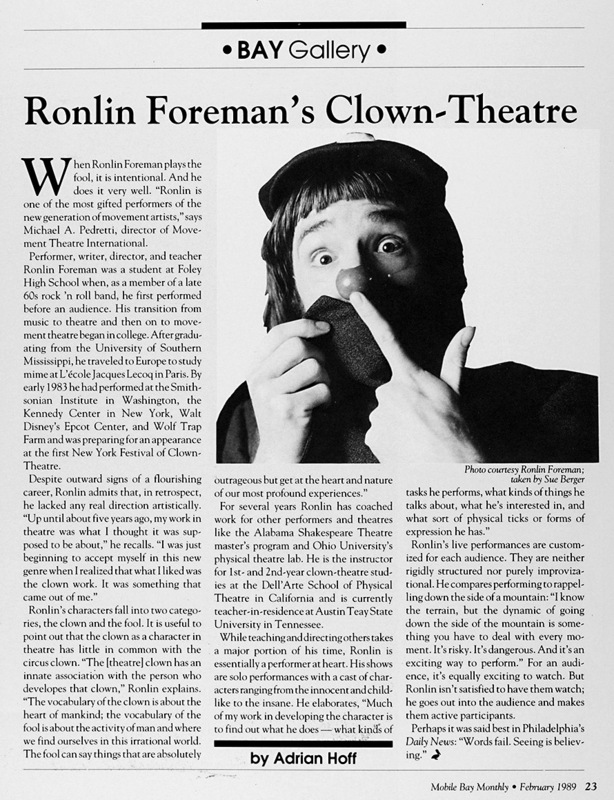 Ronlin Foreman's Clown-Theatre, by Mobile Alabama Arts Writer Adrian Hoff. Ronlin Foreman's Clown-Theatre by Adrian Hoff.